While rationalizing running in summer (Delhi heat) I often cite this example to my family – I recently read that Roger Federer has bought a mansion in Dubai for a big reason! He trains in the 40 degree heat of Dubai to get an edge in his training. He sprints in the heat before he takes off playing his game. In his very own cool words he says “Heat is just a mental thing”! Even pros like Roger Federer dread the heat so much that they make it a part of their crucial training plan! In summer, the one laden with unlimited humidity, it’s my sheer willpower that gets me running on the road! There are 200 or more reasons for me to not run in that humidity and heat out there. The only reason to keep running is that I enjoy it, that I want to feel like a hero who didn’t sit back in her palace just because it was too hot to battle in the field! Here’s my sweaty running tale. I live in the north of India. Some three digit miles away from the hot hot desert! Even then with all the distance from the desert, it’s blistering hot! And because I picked up running in the cooler time of the year, I had not even anticipated how much of a horror running could become in the peak of summer! Until that one day…when I set myself a solid goal, went out in 40 degrees and then tasted the salty effect the vagaries of nature would have on every part of my body! The fatigue builds up by and by. I won’t recommend taking the heat lightly. Running through my first summer and surviving it, I now know why it is to be dreaded and yet to be looked forward to! To be used as the best time to train hard! 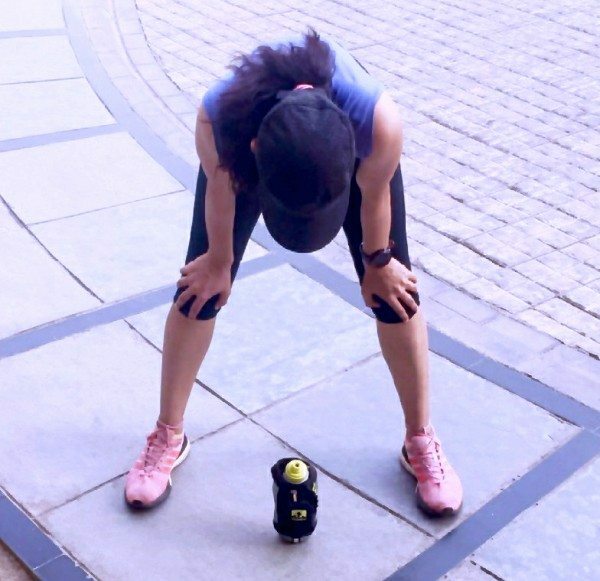 5 deadly “running in the heat’’ mistakes I made! 1. I tried to run my best pace! — Ouch! Ouch! Ouch! I didn’t realize that goal oriented running in summers could be a major motivation dampener! With all that heat going in and all that sweat coming out, my Garmin beeping on the side is such a bad idea! Setting tough goals in the summer could just make you stay away from running all together! The racing must be left for cooler climes. 3. I didn’t adapt — Let’s re-learn the meaning of ADAPT — It’s the time to humble down. The relentless heat demands adjustment from the runner. It took my body 2 weeks of some long distances to adjust to the heat and finally my muscles did feel stronger! Going back to some very simple words — just keep running! There is enough education on the net about how your body learns to adapt or adjust to the heat! Spend about 30 minutes for once in your life to understand the science behind it. 4. I underestimated the importance of shade — It makes a huge difference to find a shaded running route for the summers. My part of the city has many but I realized the cooling effect only after one day when I had no choice but to go run a shaded route. But then you have to do both to believe what I am trying to say. The world of difference it makes is worth it. If you live in Delhi or NCR — then head to Sanjay Van. It is what a shaded haven on a hot summer afternoon looks like! 5. I didn’t understand why I was getting a headache or feeling exhausted all day — My runs that were my source of strength, happiness and fitness gave me a high for those 20 minutes post finishing them but left me exhausted or with a headache! And I didn’t care about it! But hey it was summer! The passion of running can do this to many people. It’s almost like going blind to everything you can see and understand. But the recurrences of headaches, fatigue for a long time need to be sorted. We should run all we want but after we replenishing enough post the runs? A simple blog to some amazing and simple replenish drinks to follow soon! Take in more electrolytes. I repeat — Not taking the relentless heat lightly is essential. Stay Hydrated. Go easy. Adapt. Thanks Tanya for putting your experience together and sharing, look forward to more. Thanks Saurabh! Sorry for the late reply! I hope you are enjoying our other articles on running!